As the full custom IC layout suite of the industry-leading Cadence® Virtuoso® platform, the Virtuoso Layout Suite supports custom analog, digital, and mixed-signal designs at the device, cell, block, and chip levels. The enhanced Virtuoso Layout Suite offers accelerated performance and productivity from advanced full custom polygon editing (L) through more flexible schematic-driven and constraint-driven assisted full custom layout (XL), to full custom layout automation (GXL). Seamlessly integrated with the Virtuoso Schematic Editor and the Virtuoso Analog Design Environment, the Virtuoso Layout Suite enables the creation of differentiated custom silicon that is both fast and silicon accurate. 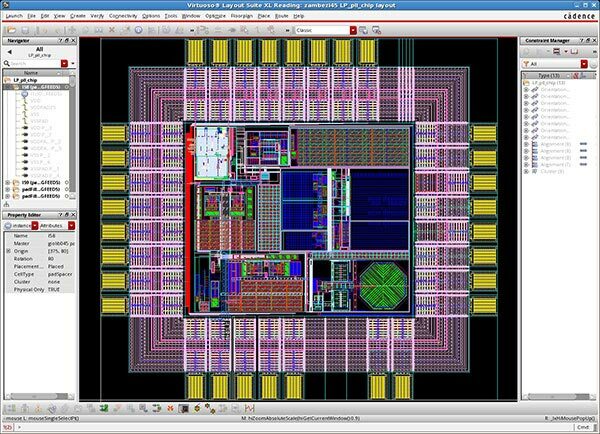 The Virtuoso platform is the industry’s most silicon-proven, comprehensive, custom IC design platform, trusted in taping out thousands of designs each year for more than 25 years.